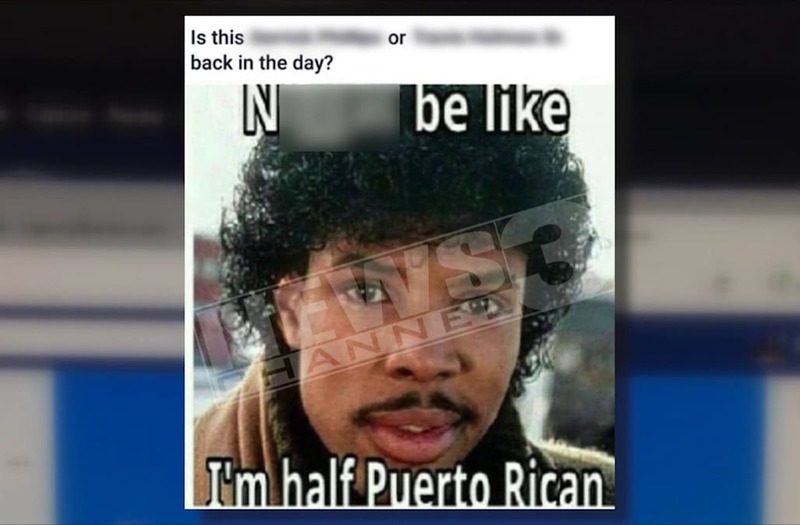 MEMPHIS, Tenn. (WREG) -- A Shelby County jailer has been relieved of duty with pay after sharing an N-word laced meme on Facebook, the Shelby County Sheriff's Office confirmed Wednesday. Mark Twilla posted the meme to a private Facebook group for law enforcement officers Saturday. He also compares two of his colleagues to the man pictured in the meme — Darryl Jenks played by actor Eriq La Salle in the 1988 movie "Coming to America." When WREG asked Twilla about the post, he would only say: "Sir, have a blessed day, OK?" An employee at a county jail in Tennessee was suspended with pay after posting an offensive meme to a private Facebook group for law enforcement officers Saturday. But Memphians WREG spoke to were outraged and offended by the post, which many of them called racist. "It's a modern-day racist type thing," said Jermail Rutherford. "I feel that's racist and I mean that, you know what I'm saying?" said Tremaine Cain. But not everyone thought what Twilla did was wrong. "Why should he be suspended for speaking his mind?" said Dee Anderson. A spokesman for the Shelby County Sheriff's Office said he couldn't comment about the post since it was under investigation, but he told us the office has a social media policy with which all employees are familiar.